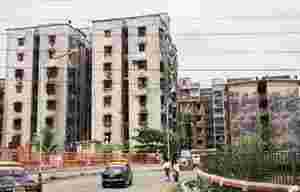 Bangalore: The Maharashtra Housing and Area Development Authority (Mhada) plans to sell 600 so-called budget flats in Mumbai around Diwali and expects at least 200,000 applications for this, an indication of the demand for affordable housing in one of India’s most expensive real estate markets. The flats, which will be 225 sq. ft and 600 sq. ft in size, are located in Sion and Vikhroli in the city. Property prices in Sion range between Rs6,000 and Rs12,000 a sq. ft. Mhada’s flats will be priced at Rs2,000-2,200 a sq. ft. Buyers will be picked from applicants through a lottery. The coming sale follows one in June by Mhada to sell 900 flats to people from households with very low income (it received 65,000 applications) and an ongoing one in New Delhi where the Delhi Development Authority is selling 5,010 flats within the city (it has received around 850,000 applications and will pick the buyers by lottery). Property prices in Mumbai have risen by 30-40% in the past year. Transactions in the range of Rs40,000-90,000 per sq. ft have put the city in the league of the world’s most expensive destinations but, in the process, elbowed out middle-class homebuyers. Real estate advisory Knight Frank India Pvt. Ltd estimates demand for houses in Mumbai is around 84,000 a year, while supply, from the government and private firms, is only 55,000. Mhada, with land banks within the city, is one of the few options before people who seeking affordable houses. Mayfair Housing Pvt. Ltd, a local developer, offers flats for Rs18-22 lakh but even these are in Vasai, a distant suburb. “It’s not easy to do affordable houses in Mumbai, particularly within city limits, because of the high costs of land involved. This is why we could afford to provide budget homes in Vasai...because the cost of land is much cheaper in the earlier location," said Nayan Shah, chairman of Mayfair Housing. Not everyone is convinced Mhada’s flats are a good bargain. “Quality issues have been a concern against Mhada houses and have kept many homebuyers away. Though the flats are far cheaper than the market rates, their construction is bad, fittings are of poor quality and finishing is not up to the mark," said Prakash Gupta, director of Mumbai-based brokerage Sunrise Real Estate.